At Fudge Kitchen we’ve been hand-crafting our special recipe fudge for 35 years using traditional methods and a lot of love. At Fudge Kitchen we’ve been hand-crafting our special recipe fudge for 35 years using traditional methods and a lot of love. 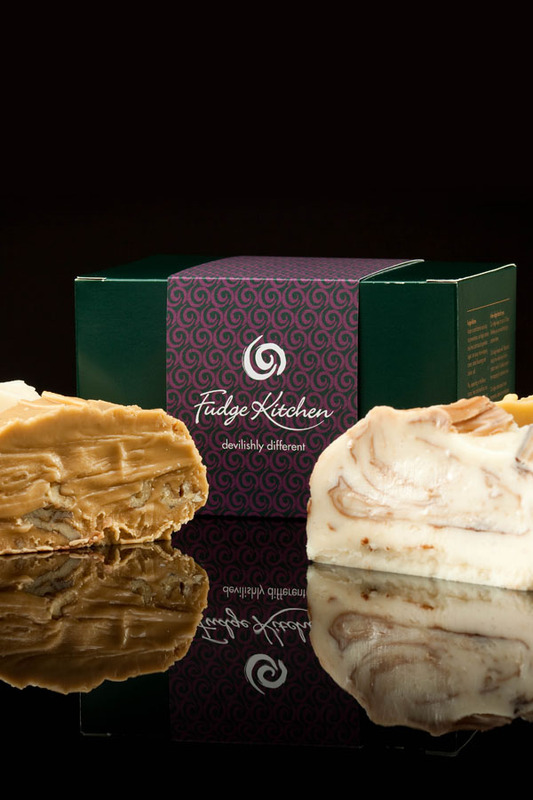 So, you’ll find our fudge is different to any that you’ve ever tasted before. 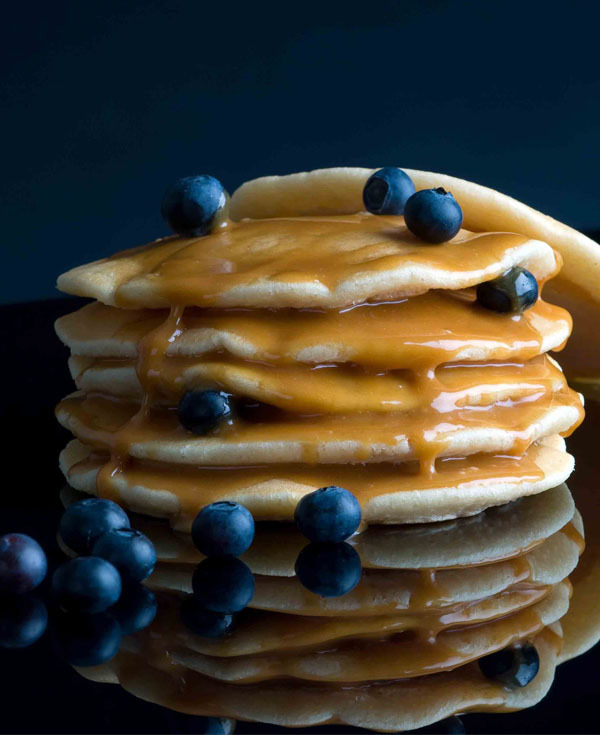 It’s made with fresh whipping cream instead of butter which makes it smooth, soft, creamy and delicious. 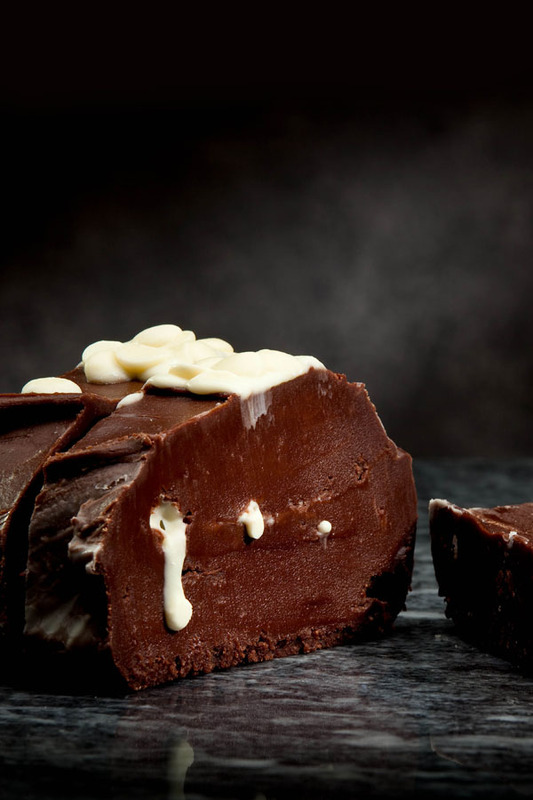 Our devilishly different fudge has a creamy melt in the mouth texture, in an amazing variety of flavours such as Strawberries and Cream and Rum and Raisin. 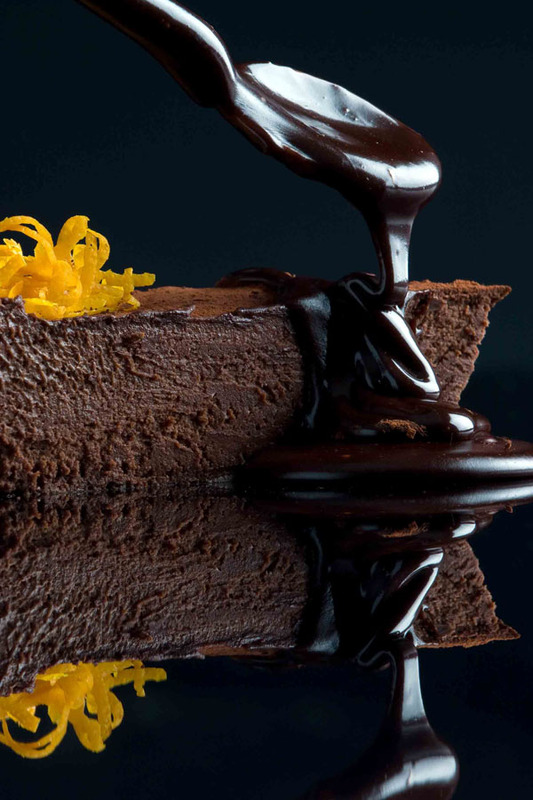 Our fudge is available in thick, luxurious slices that each weigh approximately 175 grams. On our build a box page you can create your own four or six slice presentation box with free, optional gift sleeve and personalised message. Alternatively choose one of our pre-built selection boxes that have carefully selected flavour combinations for all tastes. We also have a range of Fudge Sauces, which are essentially our best selling fudge flavours in a jar! A terrific topping, indulgent ingredient or simply a scrumptious scoop – these thick and delicious sauces can be enjoyed either hot or cold. Currently available in five flavours. Our range also includes Drinking Fudge available in nine flavours; Fudge Fondue Set in five different flavour sauces with dipping biscuits and biscotti and also a gourmet range of hand decorated butter fudge elegantly presented in slender boxes containing five pieces of fudge.